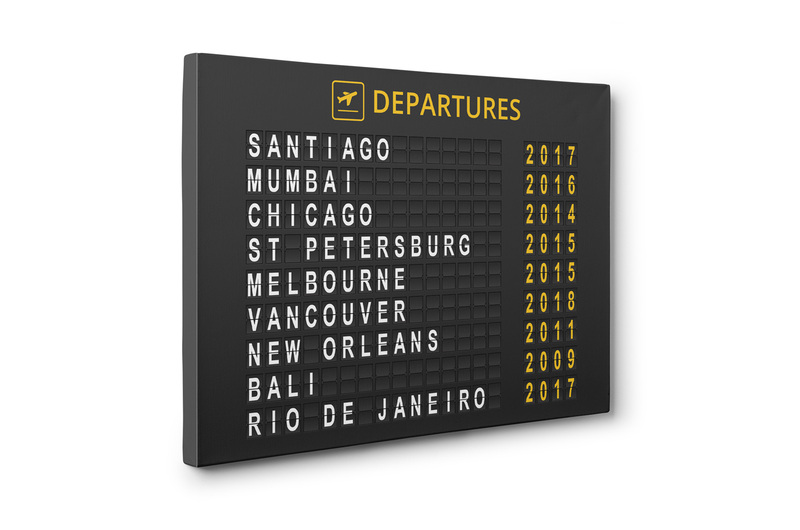 Create your own custom airport departure board with the places you’ve been and your dates. 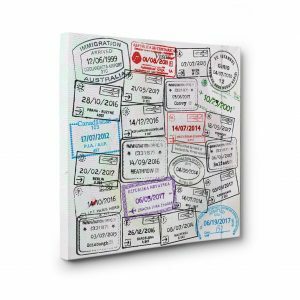 Makes an awesome travel gift and memento! 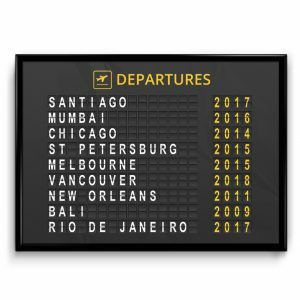 Fill out your destinations and dates below. 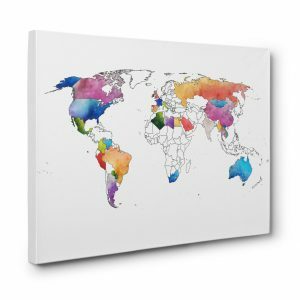 Our canvas wraps offer a more polished look than a standard print without the glare or heavy frame of a traditional wall hanging. Adds visual interest to any room with ease. The material is a 100% polyesterbase with a 2×1 weave.